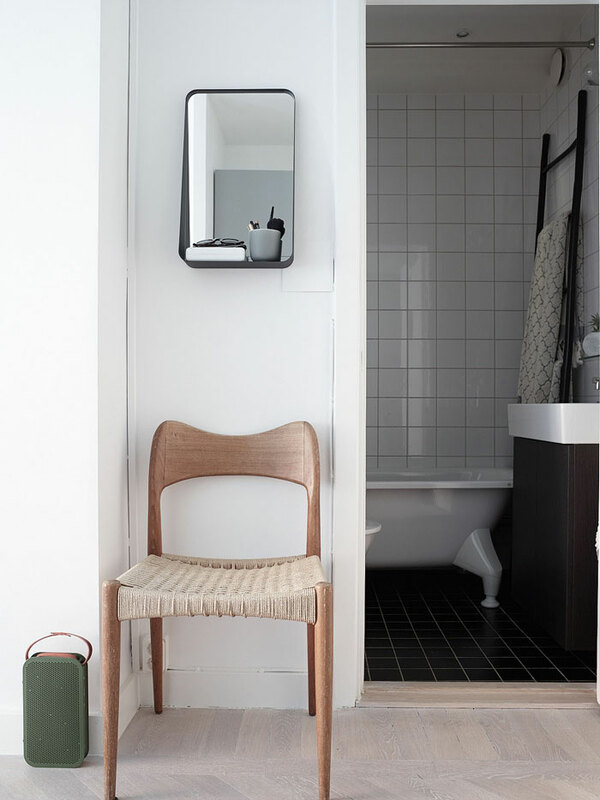 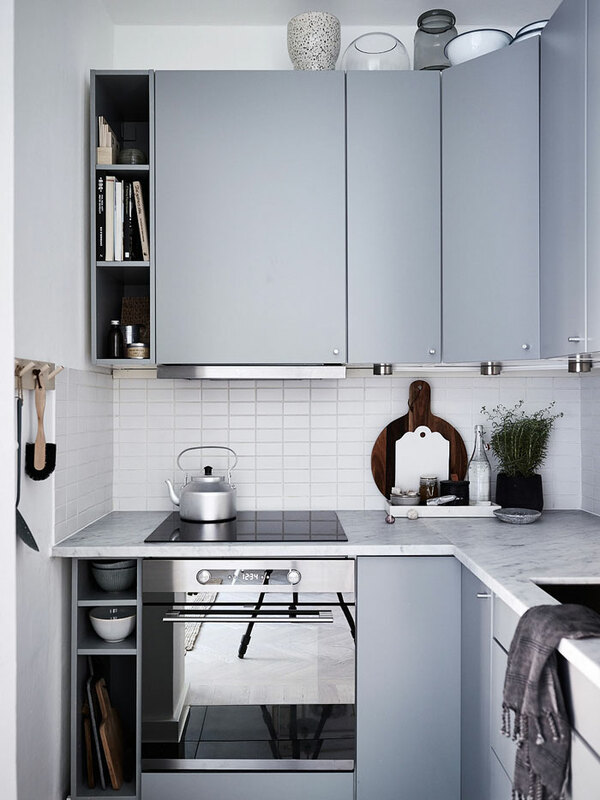 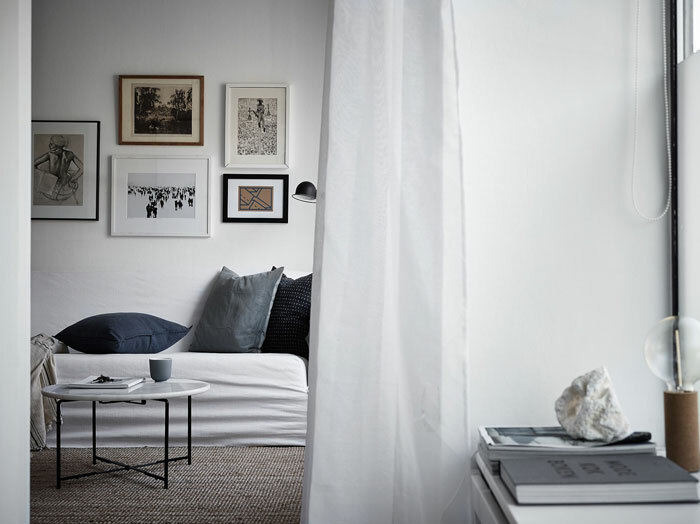 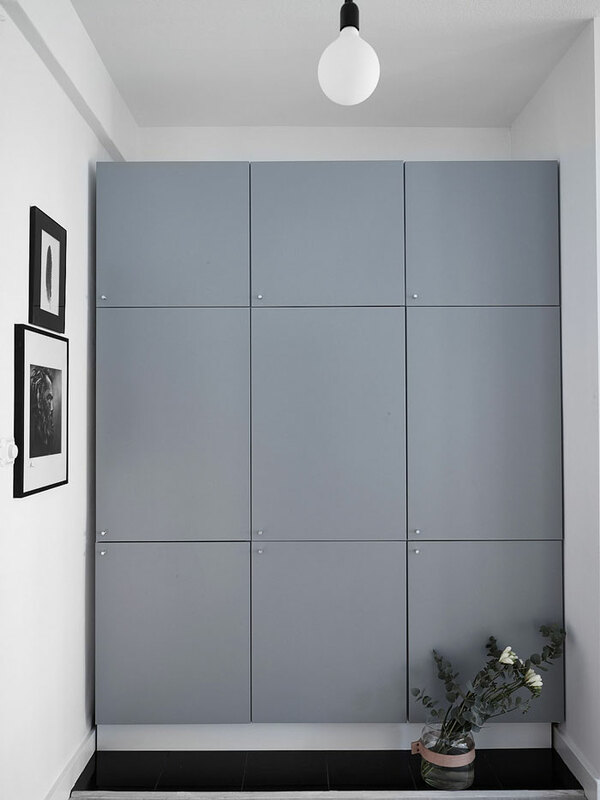 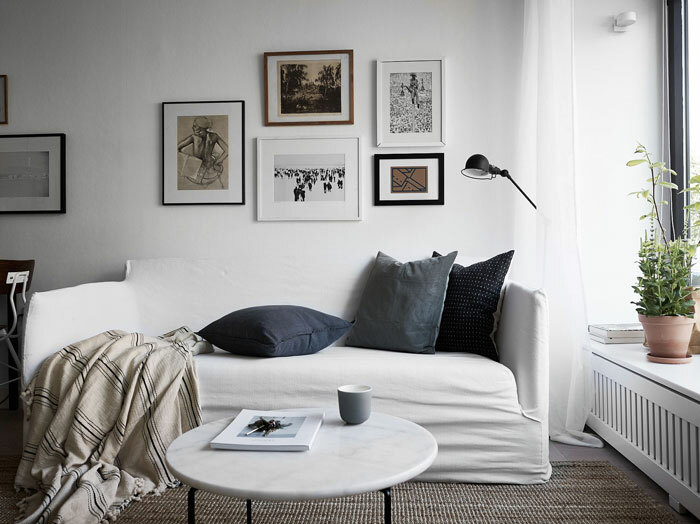 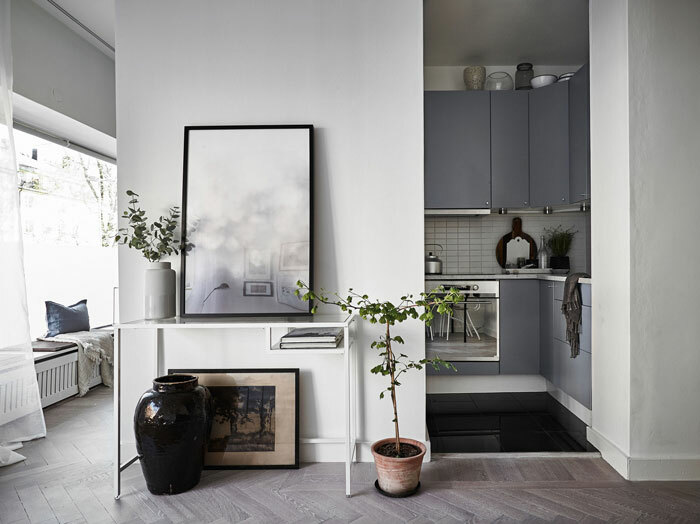 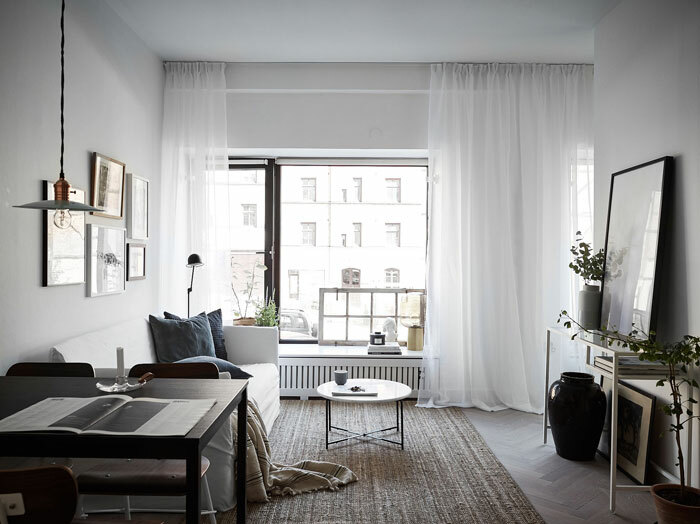 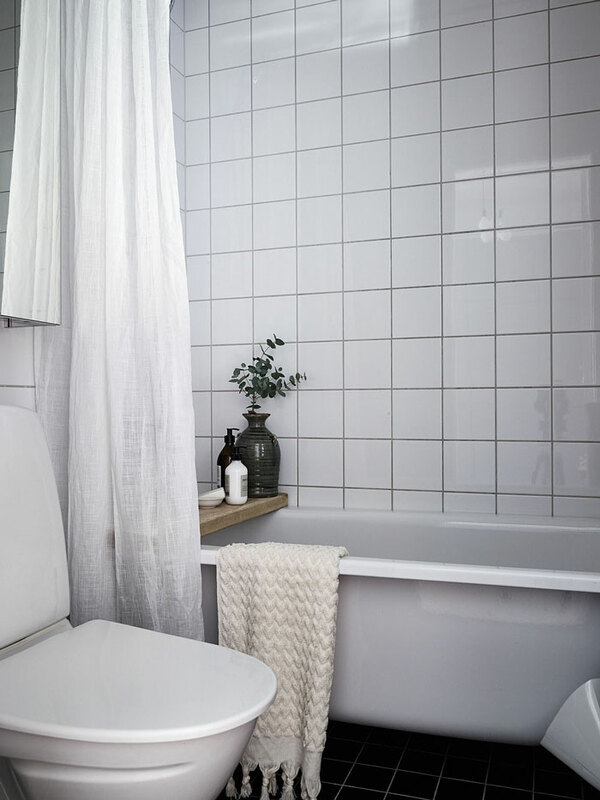 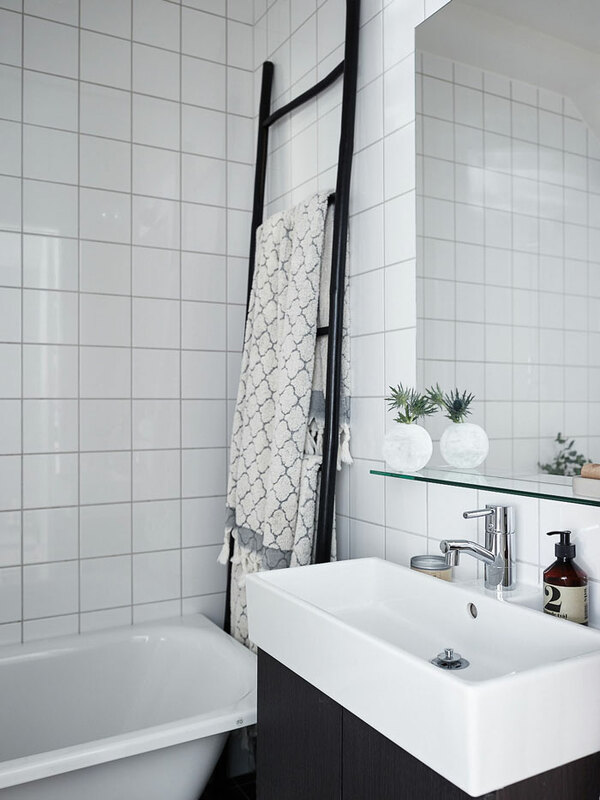 This 32-square-meter apartment in Stockholm is possibly our dream pied-à-terre; a fantastic little cocoon with a lot of personality and style, perfect for holidays or stopovers in the Swedish capital city (we can dream, right?). 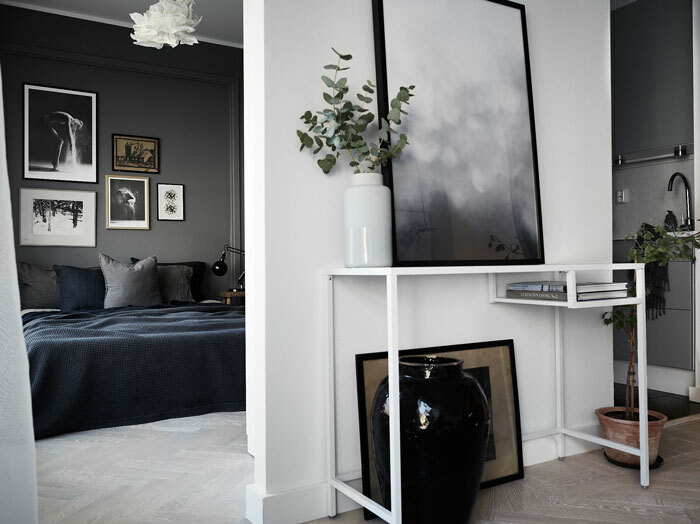 With the restrained color palette, the place feels serene and elegant. 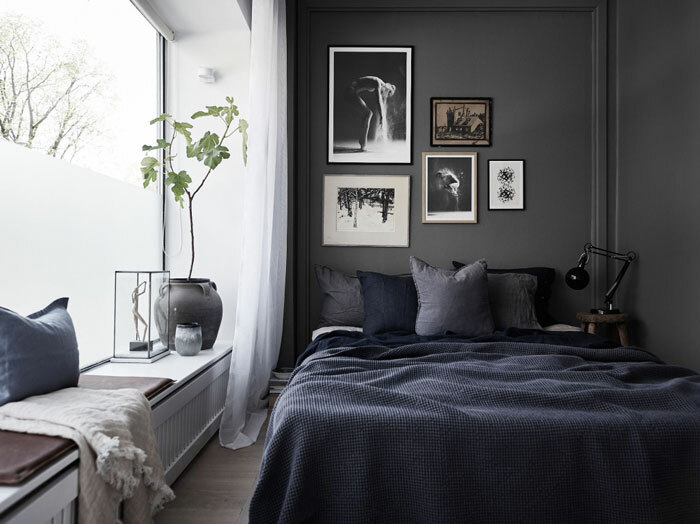 We like the moody, cozy bedroom – Who said dark paint is a no-no for a small space? 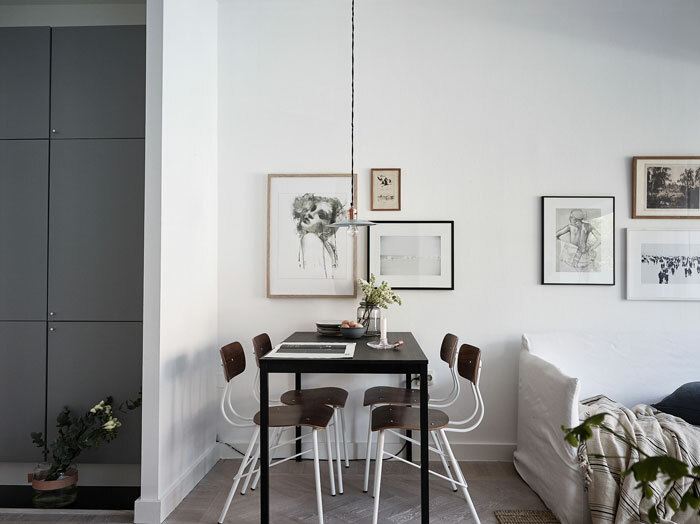 And this place offers a food example of how much artwork can give a personal, unique and refined touch to any home!